Collared t-shirts or turtleneck(mockneck) tuck-in at all times. Rates include green fee, golf cart, caddy fee and caddy tip. 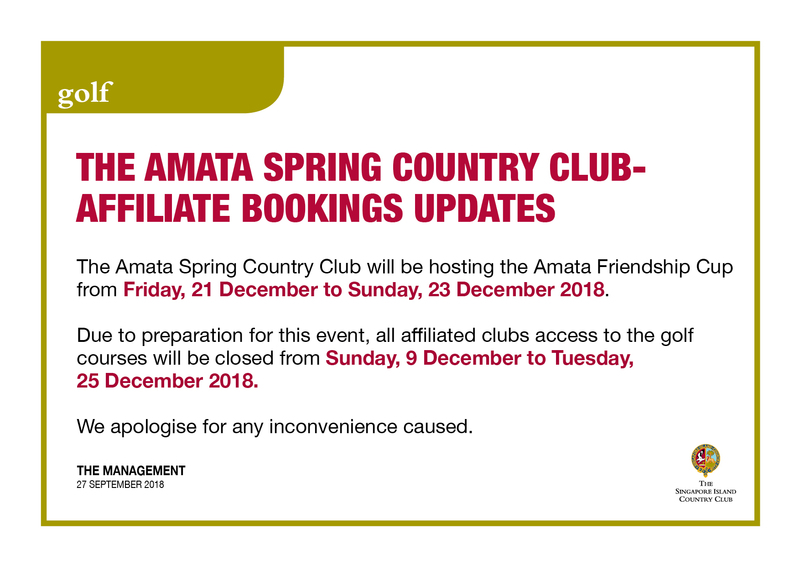 Play on weekends / PH is not allowed and is subject to the Club’s discretions. All cancellations must be made at least 48 hrs before the booked date failing which a full charge will be imposed to the member.